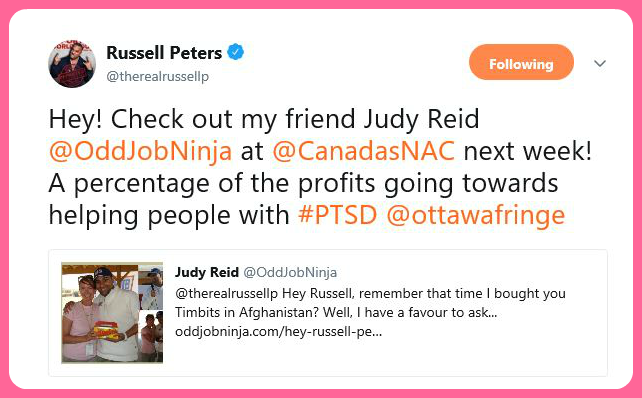 Hey Russell – remember those Timbits in KAF? Hey Russell! How’s it going? 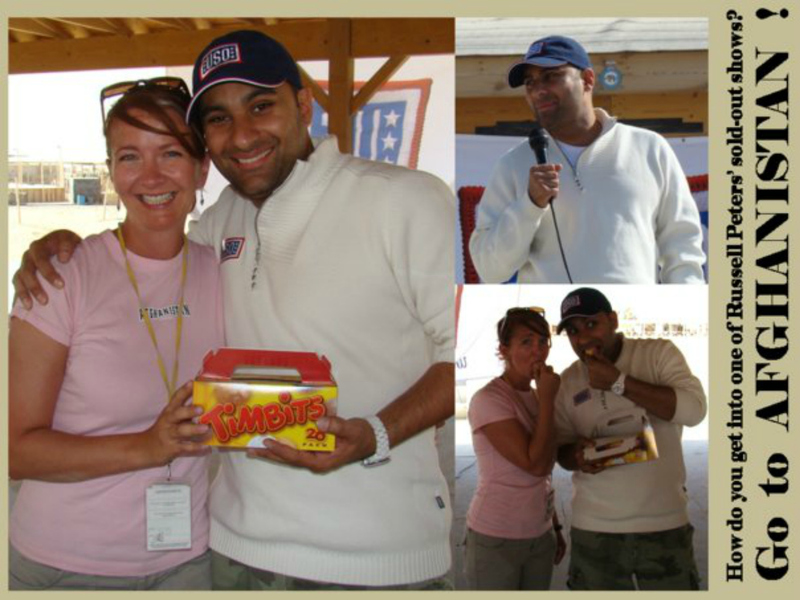 Remember that time I bought you some Timbits when you visited Kandahar Airfield? Yeah, it was a while ago – like 11 years. Jeez. Well, I have a favour to ask… and I don’t mean to say you owe me for those Timbits – they were a gift. Truly, no strings attached. But I figured because we bonded (for at least 7 seconds) over those dust-covered Timbits, I thought you might want to know about an Afghanistan-themed project I’m working on. Any-hoo, I was wondering if you’d like to come to the show (buy tix here) or if you’d like to make a donation to the show (lend support here). Or maybe just spread the word. Y’know, for the sake of that Kandahar-Timbits bond. That, and the chance that by sharing my own mental health struggles, I may make it easier for someone else to ask for help if they need it. p.s. It was AWESOME seeing you in KAF. Thank you soooo much for making that trip. It was très cool. p.p.s. I’m really enjoying The Indian Detective on Netflix. There better be a second season! UPDATE 2018.06.07: Thank you Russell and Clayton!! Your tweet-out is much appreciated.